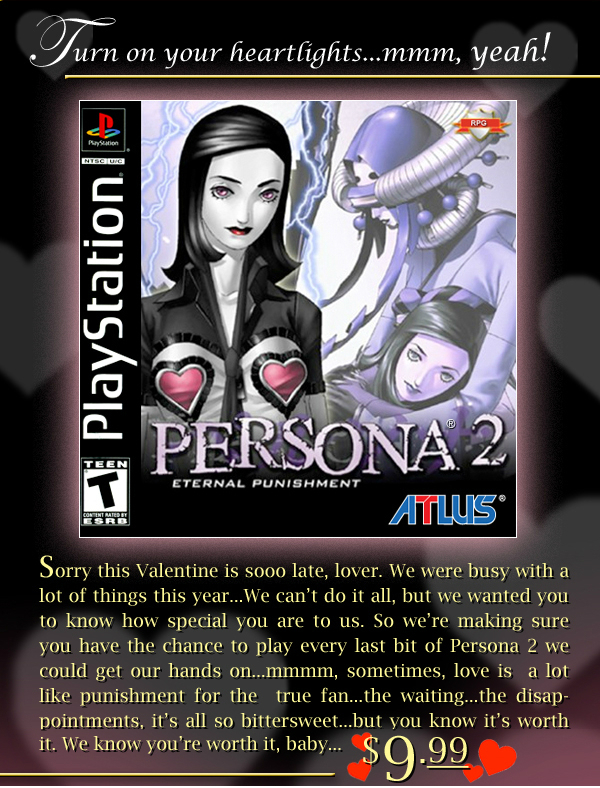 In a press release, Atlus has announced that Persona 2: Eternal Punishment is now available on PlayStation Network (PSN). It is playable on PlayStation 3, PlayStation Vita and PlayStation Portable. The game is available for $9.99 and is rated M for Mature. In a post on PlayStation Blog, Atlus said the following: “The bad news is that unusual circumstances have prevented us from localizing Eternal Punishment PSP the way we’d have liked to…” So it appears they couldn’t port over Japan’s 2011 PSP release of Persona 2: Eternal Punishment. Fortunately, the digital era has come to the rescue, and now anyone can purchase and download the game. Edit: According to a post by mochuuu, the Digital Platforms Community Manager of the PlayStation Community Forums, Persona 2: Eternal Punishment is currently NOT downloadable on either PlayStation Portable or PlayStation Vita. I just hope our physical copy does not decrease in value.